"An ounce of prevention is worth a pound of cure" is an old adage credited to Benjamin Franklin, one of the founding fathers of the United States. The Soldiers from the maintenance section of Troop D, 3rd Squadron, 1st Cavalry Regiment, 3rd Heavy Brigade Combat Team, 3rd Infantry Division have made that old saying a motto they live by. In the military, preventative maintenance checks and services are performed before, during and after any type of movement or use of military equipment. Checks are also done at weekly, monthly, semi-annual, annual and bi-annual intervals, depending on the specific vehicle or piece of equipment. 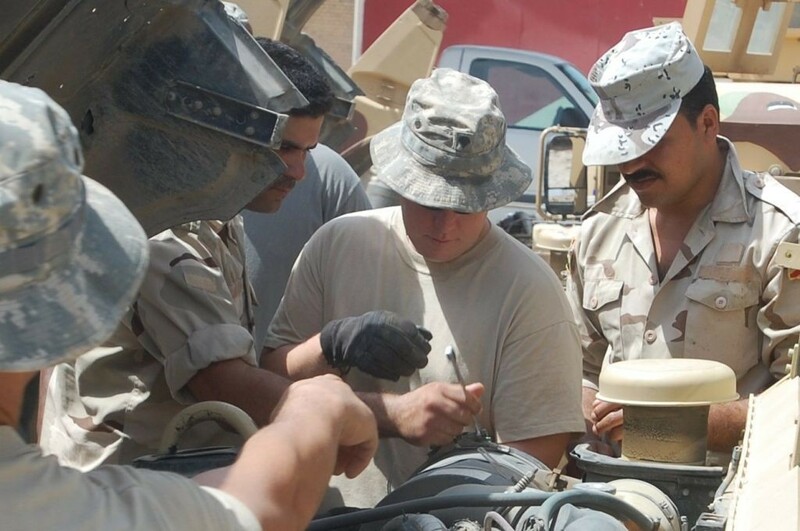 A PMCS helps to identify future issues and worn parts before they fail, and fix or replace the parts ahead of time. Traveling outside of the COB with new, working equipment means a lower failure rate and in turn fewer injuries, which improves effectiveness in combat. Soldiers of Troop D's maintenance section invited members of the 3rd Battalion, 32nd Iraqi Army Brigade, to COB Delta for joint training. The troopers seized the opportunity to share the importance of doing a proper PMCS. Spc. Josue Lopez, a mechanic with Troop D from Acnaco, Puerto Rico, said a proper PMCS can help the Iraqis with the big picture. "We want to share with them what right looks like when it comes to vehicle maintenance," Lopez said. "That way they will have fewer problems and will be able to focus more on the mission instead of repair issues." Capt. William Gillespie, the executive officer for Troop C, 3-1 Cav. Regt. and a native of Decatur, Ga., who attended the training, said maintenance can make or break a mission. "Logistics is the lifeline to any operation," Gillespie said. 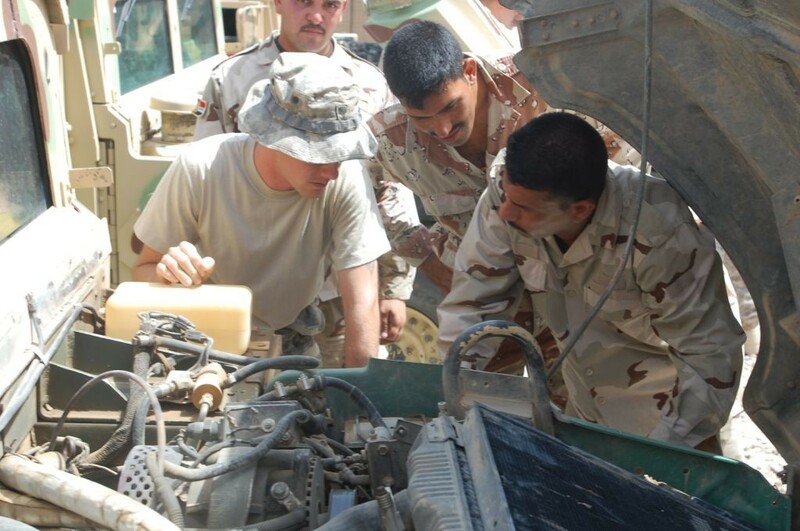 "The (3rd Battalion) can go out and perform a wide array of missions, yet if their vehicles are not serviced properly, they don't have the proper repair parts, if they don't have the proper weapons parts, if they lack the proper logistics infrastructure in general, they will not be able to execute those missions. That is what we are trying to get at. We are trying to improve upon the logistical side of things so that (Iraqi Army Soldiers) can better help with stability operations." Gillespie said prior to the advise and assist mission, the Soldiers were focused on what they could give the Iraqis. They realized they were putting themselves in a cycle of giving rather than one of mentoring. 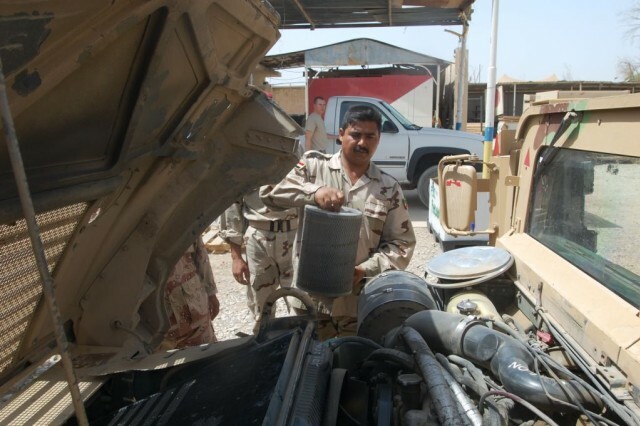 By having the Iraqi soldiers come to the maintenance training, they have the chance to mitigate future issues, creating more independence in the Iraqi Security Forces. "For most of our Iraqi counterparts, this was their first exposure to a proper PMCS," Gillespie said. "Rather than just giving them parts, as has been done in the past, we choose to focus on teaching them how to maintain and repair their vehicles." Sgt. Gabriel Hernandez Garcia of San Antonio, who also works with Troop D's maintenance section, said it was all about helping others be able to help themselves. He stressed the importance of correcting minor issues before they became major ones. 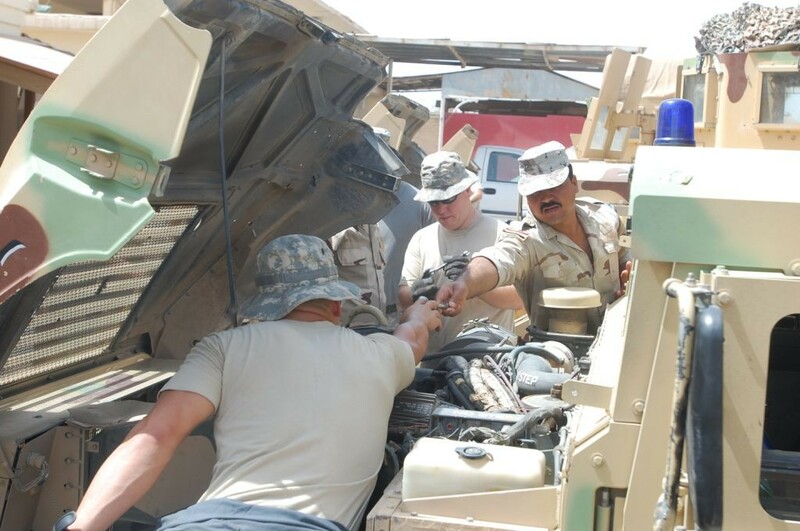 "Our mission today was to develop our relationship with the Iraqi Army in order to help them to improve upon their vehicle maintenance skills," Garcia said. "They are much more tactically and technically proficient now. They are opening up new logistic centers for parts and equipment. "That is the important thing, making them more prepared, so that even after we leave, they are capable of handling any situation or problem that arises."